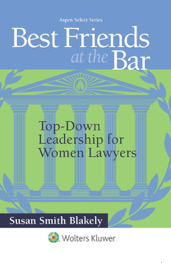 Taking a break and feeding our souls is something that women lawyers need. We tend to jump in with both feet whenever we are called on to serve at the office or at home or in the community, and we often overextend ourselves. Taking time to recharge our batteries is particularly important. All work and no play makes us dull. Dull to ourselves and dull to others. The people around us at work are not attracted to us just because we are smart and competent. 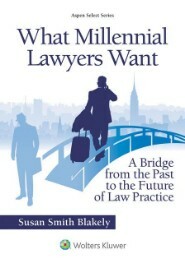 They also are attracted to us because we are interesting and understand that there is life beyond the law practice. That goes for clients, as well. 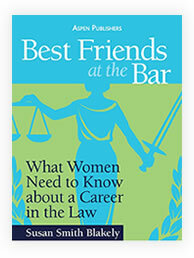 My favorite clients, who I believe felt the same away about me as their lawyer, were the ones I shared human experiences with over lunch or a glass of wine. It is that personal connection between you and your colleagues and clients that will help you build the “book of business” that will inform your future success in practice. So, I am taking my own advice, as I do every year at this time. August is my summer hiatus, and I devote it to family and friends and self-evaluation. The blogger in me will be silent, and there is never an August newsletter. To fill the void, just picture me somewhere on a beach with a good book and enjoying the sunset. That is instructive in and of itself! This year, my August hiatus will include a trip with my daughter, who will have finished her federal court clerkship and be headed to private law practice, and a trip with my husband to celebrate my mother’s 99th birthday and catch up with other relatives. Yes, my mother is amazing! In fact, the two Smith-Blakely women in my life are all that I ever could have dreamed. I am, indeed, a lucky woman. Have a wonderful end of summer. Breathe easy and feed your soul. Make a commitment to the balance in your life. Create intoxicating memories to get you through the hard work that is ahead of you. Be authentic, know what you need, and go for it! Adieu. 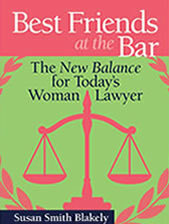 Until we meet again on the Best Friends at the Bar blog! Sincere compliments cost nothing and can accomplish much. In any relationship, they are the applause that refreshes.